On Sunday 16th September at 2pm at the Duke of Wellington Cowbridge, With Music In Mind will be performing in a short concert with special guest Elin Manahan Thomas. Entry is free, just turn up on the day. Summer Break - Dates for your diary. There will be no groups running in Barry on Monday 6th August or Monday 26th August and no groups in Cowbridge on Friday 3rd August or Friday 10th August. Groups will run as normal on all other dates. Big Lottery Wales awards 3 years of funding to With Music In Mind! 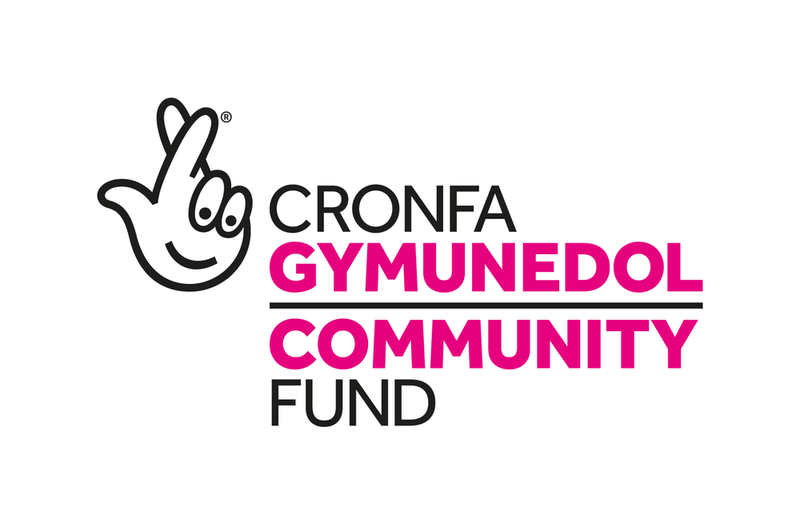 We are delighted to receive a National Lottery grant from Big Lottery Fund Wales for our Expanding in the Vale project! We're looking forward to starting two new groups and keeping our current groups in Cowbridge and Barry running for the next 3 years! We will have more news about the new groups soon, so watch this space! On Sunday 29th April Ben Whitestone ran the Newport Marathon in aid of With Music In Mind as part of a bigger challenge he has set himself, in which he will also complete a Tough Mudder in Whistler, Canada and the Swansea Half Marathon later this summer. So far he has raised a brilliant £625! Many many thanks go to all his sponsors and, of course, to Ben himself. If you would like to sponsor Ben for his ongoing challenge, you can do so by clicking the link to the secure fundraising page. Due to the adverse weather conditions Cowbridge group is cancelled on Friday 2nd March. Please stay safe and warm. Managing DIrector Sarah Miles was interviewed by Gareth Knight on bro radio this week. Sarah shared information about our two groups in Cowbridge and Penarth, and talked about the recent project in which members of both groups wrote two songs and recorded them at Rockfield Studios in Monmouthshire! You can listen again by clicking on the link below. A letter from the managing directors. When With Music In Mind started in September 2015, the price for members was £4 and was run on an entirely voluntary basis. As you may know, With Music In Mind was partially funded in 2017 by a grant from the National Lottery, which helped to cover the costs of the group and enabled staff to be paid a small amount for one day a week. This project has now come to an end. We will continue to apply for further funding from a variety of sources, but of course, it is not certain as to whether we will be successful in this. With Music In Mind held its biannual board meeting on the 18th January 2018 and after much discussion the board agreed that in order for With Music In Mind to continue with its groups a price rise was necessary. It was agreed that in order to meet the costs of running the groups and to ensure that the organisation remained viable the cost should be raised to £6 per person per session with immediate effect. It was felt that this reflected the value of the 2 hour group to its members and also reflected that the price has not been raised for well over 2 years. We aim to ensure that we will not need to further increase the price to members for the next 2 years at least. We are sorry if this causes you any inconvenience although we feel sure that you understand the reasons. We understand that With Music In Mind means a lot to you, and so, if you have personal difficulties with meeting the price rise, please talk to Sarah and Kate and we will see what we can do to help. There will be no groups running during the week 30th October to 3rd November. Barry group starts back on Monday 6th November and Cowbridge on Friday 10th November. The Aviva Community Fund is a competition for community groups to win funds. You can vote for With Music In Mind to win £1000 which will help to fund our groups for the next 6 months! Click here to see our page and to vote for us! Exciting Project gets funding from Glamorgan Voluntary Services! With Music In Mind is thrilled to announce a new project which is supported by Glamorgan Voluntary Services through the Supporting Older People in the Vale Revenue Funding Scheme. The project will consist of four workshops with our musical director where WMIM members will have an opportunity to write two songs, followed by a trip to a recording studio to record the songs! We know that many of our members already have ideas and are excited to get started on this project. We will keep you up to date with our progress on our social media! Songs From The Musicals: A Concert. Sat 14th October. With Music In Mind is holding a concert in the Duke of Wellington Ballroom at 7pm on Saturday 14th October at 7pm. Members from Barry and Cowbridge groups will perform a selection of songs from the musicals of stage and screen. Sarah Miles and Ben Whitestone ran the Half Marathon stage of the Tenby Long Course Weekend in hot weather yesterday. The arduous course is one of the most hilly in the UK and the pair managed excellent times. They are collecting in sponsorship this week, so if you would like to sponsor it's not too late to get in touch! Members of both Barry and Cowbridge groups travelled by coach to the new Bay Campus at Swansea University to sing at the opening of the British Society of Gerontology Conference 2017. They performed 3 songs; Another Opening from Kiss Me Kate, Calon Lan and We Keep A Welcome In The Hillsides. The performance was very well received and much praised. Thank you group members! Click on the link below to see a video of their performance. We'd like to know what you think about possible new With Music In Mind groups. Click on the link below to fill in a very short survey. Indigo May, a vocal duo, are holding a concert on the 3rd June in Cowbridge in aid of With Music In Mind. It promises to be a good night, so please come along to the Duke of Wellington, Cowbridge. Doors open at 7pm, and the show starts at 8pm. Tickets are £10 and available by contacting us on info@withmusicinmind.co.uk, or on the door! With Music In Mind is holding a stall at the Cowbridge May Fair this year on Monday 1st May. The fair takes place on the Bear Field in Cowbridge at kicks off at 10am. There will be a maypole, tug of war and a beautiful baby competition as well as a stage with musical performances and many stalls with food and craft produce. The With Music In Mind stall will be selling sweets and drinks and will have a 'Guess the Name of the Teddy' competition. Come along to say hello and bring the family for a fun day out!